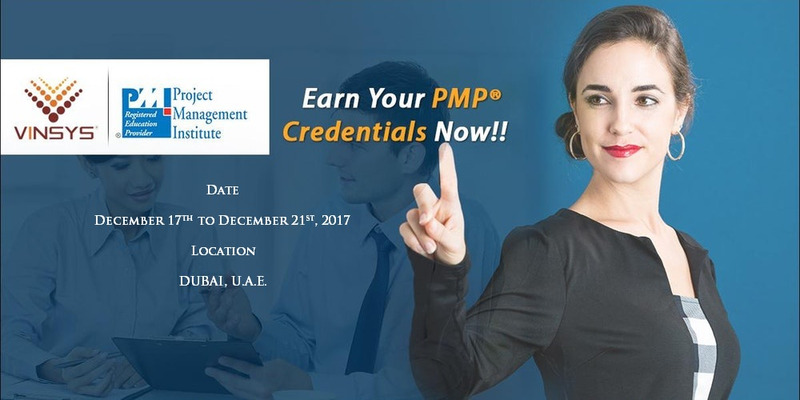 Project Management Professional (PMP) ®Certification training Program on December 17th to December 21st, 2017 in Dubai, U.A.E. Join Now!! PMP® Certification Training in Dubai at Vinsys. Attend 5 Days Classroom Training, from the best certified organization. Our Subject Matter Expert are PMP® credential holders, with real-life project experience. Training based on A Guide to the Project Management Body of Knowledge (PMBOK®Guide) 5th edition. Explore the PMP® Credential. Get Your PMP®Certification Training in Dubai.